In a big park with citrus fruits, terraces and olive trees centenar. Apartments are perfect for families.They include free WIFI, TV, cleaning every 3 days and beach and bath towels. Each apartment is equipped with nice kitchen, air conditioning, insect protection, hair-dryer, kettle and with a large terrace. 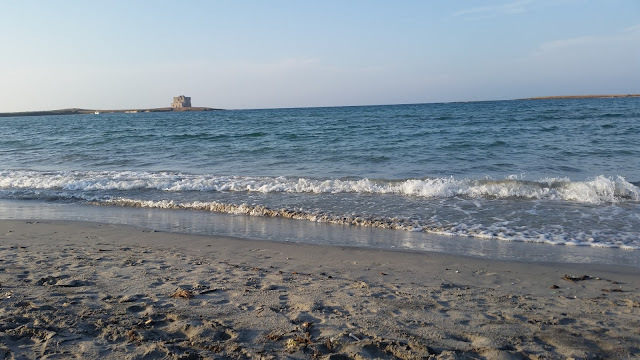 The Resort is also close to the naturiste beach located in a WWF natural reserve.As a reserved naturist beach, the Torre Guaceto beach is located in a bay at the foot of a tower dating from the XIV century, surrounded by a sea of crystal and shallow water. In a very famous place, the Resort is near cities of art: Ostuni, Monopoli, Lecce named “The Florence of the South” as well Matera European City of Culture for 2019. Apulia offers a remarkable artistic heritage even though still unknown! However, there are lots of treasures, mostly of ancient and medieval origin, that are spread throughout the territory. Nobody is left indifferent by Apulia. Naturism at Grottamiranda is a quality of living. Far from mass tourism, the priority is to take care people and share all Apulian typical richnesses: hospitality, marvelous coooking and beautiful places. Martine and Pierre are a French couple, naturists for 20 years. Passionate about Italy, they decided to create their naturist holiday resort in a Southern Italy: Apulia They found in this beautiful region everything they like: conviviality, rich cultural heritage and nature remained authentic.